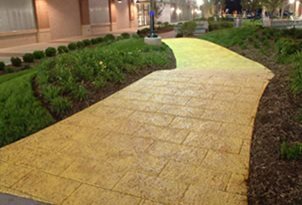 Concrete contractors around the country have sent us awesome pictures and stories about unique sidewalk designs and ideas. 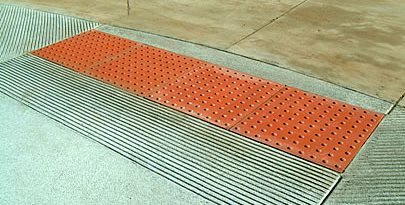 Read about them here to get sidewalk ideas for your concrete project. Find out how the projects were designed and created, what techniques and products were used, and any special challenges that were overcome during construction. Let Your Feet Do the Browsing from Concrete By Design in Atlanta, Ga.
Interactive Concrete Sidewalk Exhibit Tells an Incredible Fish Storyfrom Your Concrete Guy in Portland, Ore. Wooden Plank Walkways Made of Concretefrom Allstate Decorative Concrete in Cokato, Minn.
Children's Park Blooms with Decorative Concretefrom McCarthy Concrete in South Windsor, CT. Concrete Walkway and Steps Re-Overlaidfrom Special Effex in Machesney Park, IL.